Filice, Michelle. "Freda Ahenakew". The Canadian Encyclopedia, 04 January 2018, Historica Canada. https://www.thecanadianencyclopedia.ca/en/article/freda-ahenakew. Accessed 23 April 2019. ​Freda Ahenakew, OC, Cree scholar, author (born 11 February 1932 on the Ahtahkakoop First Nation Reserve in Saskatchewan; died 8 April 2011 at Muskeg Lake First Nation in Saskatchewan). Ahenakew is recognized as one of Canada’s leaders in the acknowledgment and revitalization of the Cree language in Canada. Freda Ahenakew was born on the Ahtahkakoop First Nation Reserve in Saskatchewan on 11 February 1932. Her parents were Edward and Annie (née Bird) Ahenakew. As a child, Freda — the second of eight siblings — spoke Cree. She credits her paternal uncle, Canon Edward Ahenakew, an ordained Anglican priest and gifted storyteller, with instilling pride in her about Cree language and culture. She attended the Sandy Lake Day School on the reserve before moving to Prince Albert, Saskatchewan. There, she attended the Prince Albert Collegiate Institute and lived at St. Alban’s Residence. Ahenakew left high school in her final year to marry Harold Greyeyes in 1951. After their marriage, Ahenakew moved to her husband’s home at Muskeg Lake Cree Nation. They had 12 children together: Dolores Carol (born in 1951); Brenda Vivian (born in 1952); Barbara Ruth (born in 1954); Harold Dennis (born in 1955); Judith May (born in 1957); Anita Elaine (born in 1958); Lawrence Edward (born in 1959); Gloria Lynn (born in 1960); Kevin Ray (born in 1962); Spencer Garth (born in 1963); Nancy Cecile (born in 1972); and Josephine Marie (born in 1975). From 1956 to 1959, Ahenakew, Greyeyes and their four eldest moved to British Columbia, where Greyeyes found work in the lumber industry. They returned home to Muskeg Lake Cree Nation in 1959 to run a small mixed-farm business. Ahenakew raised her eldest children to learn Cree, as she did as a child. As they approached school age, she and her friend Alpha Lafond negotiated with Indian Affairs to remove the children of Muskeg Lake from the residential school system, and enrol them instead in the nearby village of Marcelin. Advised by teachers that speaking Cree in the home created an educational disadvantage, Ahenakew only spoke to her younger children in English. Concerned about loss of culture, and the fact that Ahenakew noticed her children losing interest in their education, she returned to school to serve as a role model. At the age of 38, Ahenakew started joining her children on the school bus and in the classroom at Marcelin High School, Saskatchewan, where she graduated in 1969. After she completed grade 12, Ahenakew worked as the education liaison worker with the Federation of Saskatchewan Indians. She then went on to graduate from the Institute of Teachers’ Education Program, receiving her Bachelor of Education in 1979. That same year, Ahenakew received the Mother of the Year award from the Federation of Saskatchewan Indian Nations. While Ahenakew made great strides in her education in 1970s, her personal life suffered a setback. Ahenakew and Greyeyes divorced in 1979. Focused on her career, Ahenakew began teaching at the Saskatchewan Indian Cultural College, a school on the Lac La Ronge First Nation in 1979 and taught there for one year. She also taught at the Saskatoon Survival School (now the Oskayak High School) in Saskatoon from 1980 to 1981. Ahenakew then moved to Winnipeg, where she entered graduate school at the University of Manitoba. There, she studied under Dr. H.C. Wolfart, a distinguished professor of linguistics. In 1983, Ahenakew graduated with a Master of Arts Degree in Cree Linguistics. Her graduate thesis, Cree Language Structures: A Cree Approach (1987) provided linguistic instruction about Cree syllabics. 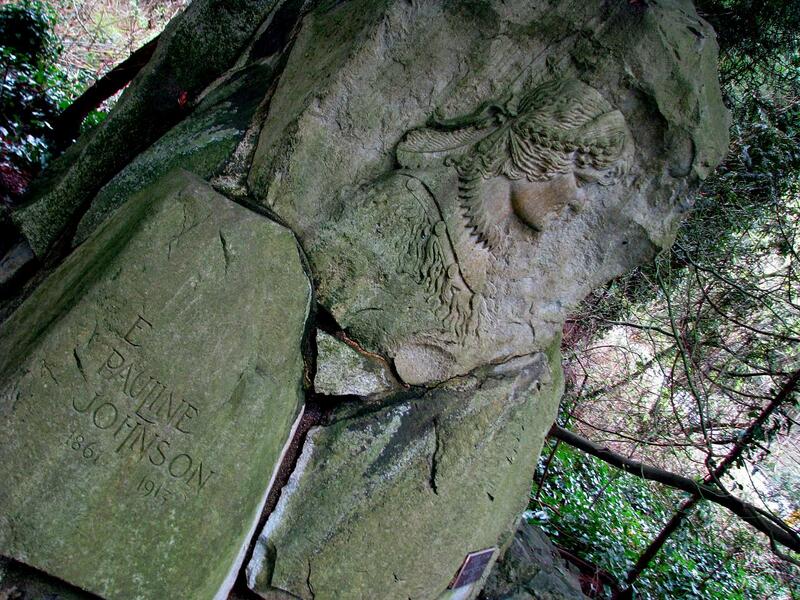 The thesis was her first publication; it has since been reprinted 17 times. During the 1980s and 1990s, Ahenakew taught at a variety of Canadian universities and linguistic organizations in Saskatchewan and Manitoba. 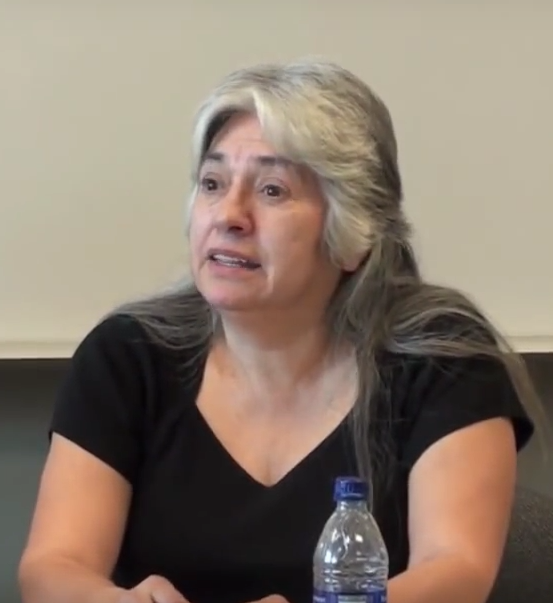 She served as an assistant professor in the Native Studies department at the University of Saskatchewan from 1983 to 1985. Ahenakew then became the director of the Saskatchewan Indian Languages Institute from 1985 to 1989. In 1989, Ahenakew returned to Winnipeg, where she taught as a professor of Native Studies at the University of Manitoba until 1996. She was the first acting associate professor of the program and later, head of the department. During the 1980s, Ahenakew also formed the First Nations Women Writers group, which provided a small-group support base for female Indigenous writers, educators and linguists. In 1996, Ahenakew suffered a stroke that limited her mobility and ability to speak. Despite her health concerns, Ahenakew went back to Saskatchewan, where she worked until her retirement in 1997 as a First Nations language consultant to the Prince Albert Grand Council. Throughout her scholarly career, Ahenakew helped to preserve and promote the Cree language. She developed literacy curricula, taught the Cree language to students and transcribed, translated and analyzed a variety of Indigenous texts. One of Ahenakew’s passions was recording and documenting the life experiences of Cree women. Her books, Kôhkominawak Otâcimowinawâwa (Our Grandmothers’ Lives, As Told in Their Own Words) and Kwayask ê-ki-pê-kiskinowâpahtihicik (Their Example Showed Me the Way: A Cree Woman’s Life Shaped by Two Cultures), are highly regarded works in feminist, Indigenous literature. Kwayask ê-ki-pê-kiskinowâpahtihicik received an Alberta Book Award for Scholarly Title of the Year in 1998. Ahenakew also published a series of children’s books, including Wisahkecahk Flies to the Moon and How the Mouse Got Brown Teeth. 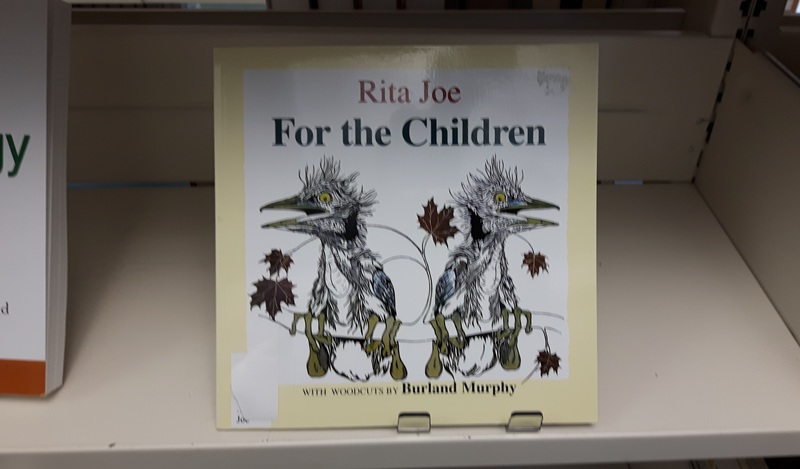 These books introduce the Cree language and traditional stories to grade-school students. Among her other scholarly endeavours, Ahenakew translated and produced a number of textbooks and technical dictionaries, including a collection of Cree medical terms for physicians. In 2010, a small group of linguists and teachers inspired by the works of Ahenakew and Dr. Jean Okimâsis, a Cree author and educator, founded a non-profit organization, Cree Literacy Network, which continues to pursue Ahenakew’s goals of language education. Ahenakew passed away from complications of diabetes at Muskeg Lake First Nation in Saskatchewan on 8 April 2011, at the age of 79. Freda Ahenakew is survived by 55 grandchildren, 75 great grandchildren and one great, great grandchild. According to her children, Ahenakew was always happy to receive awards, but her main source of motivation remained sharing the lives and language of her people. Ahenakew’s life work continues to influence new generations of Indigenous students. As Chief Joe Quewezance of the Saskatoon Tribal Council said, “By recording, transcribing and translating the stories of the Elders, Freda has laid the foundation for generations of readers to come.” In her life, Ahenakew helped to preserve the oral traditions of the Cree people and share Cree traditions and stories with Indigenous and non-Indigenous peoples alike. Freda Ahenakew, Cree Language Structures: A Cree Approach (Pemmican Publications, 1987). Freda Ahenakew and George Littlechild, How the Birch Tree Got Its Stripes: A Cree Story For Children (Fifth House, 1988). Freda Ahenakew and George Littlechild, How the Mouse Got Brown Teeth: A Cree Story For Children (Fifth House, 1988). Glecia Bear and Freda Ahenakew, Kôhkominawak Otâcimowinawâwa; Our Grandmothers’ Lives, As Told In Their Own Words (Fifth House, 1992). Glecia Bear and Freda Ahenakew, Wanisinwak iskwêsisak: awasisasinahikanis; Two Little Girls Lost in the Bush: A Cree Story For Children (Fifth House, 1991). Freda Ahenakew, Wisahkecahk Flies To The Moon (Pemmican Publications, 1999). A. Ogg and D. Greyeyes Sand, nicâpân owâskahikan: Câpân’s House: A Family Album from the Home of Dr. Freda Ahenakew (2017). G. Greyeyes, “Revival begins at Home,” Saskatchewan Indian vol. 31, no. 1 (2001). 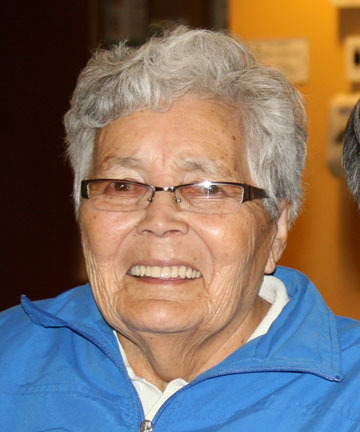 L.A. La Rocque, “Citizen of the Year: An Inspiration to All,” Saskatchewan Indian vol. 21, no. 3 (1992). CREE LITERACY NETWORK The Cree Literacy Network was created in 2010 to promote Cree language and cultural literacy, through the publication of bilingual books and other literacy materials (in Cree and English) that use Standard Roman Orthography for writing Cree.